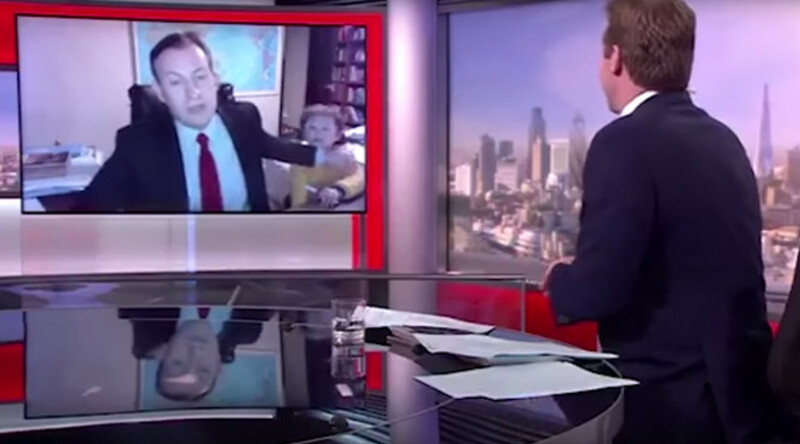 A video of a father being interrupted by his two young children while being interviewed live on the BBC went viral yesterday – and the internet couldn’t get enough of it. Robert Kelly, a political science professor based in South Korea, was being interviewed via Skype on the impeachment of South Korean President Park Geun-hye, when he was suddenly interrupted by a dancing toddler. Moments later, a second youngster burst onto the scene. The irritated parent struggled to hide his frustration at being disturbed by the children, before their frantic mother burst into the room to whisk them away from the limelight. Predictably, netizens had a field day with the footage, creating numerous memes and even offering suggestions as to why the stony-faced father couldn’t simply turn to the kids himself. Others, meanwhile, paid homage to the mother’s grand entrance.